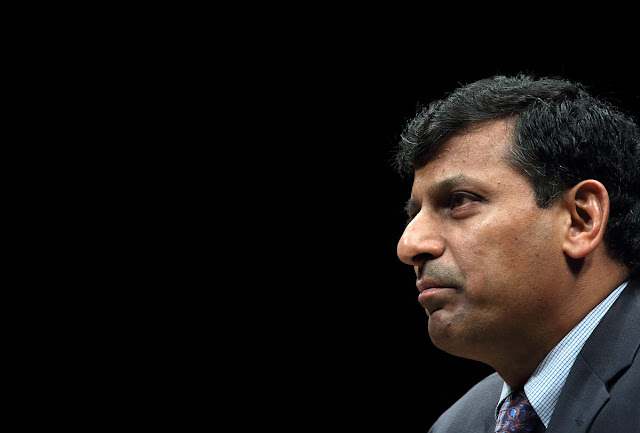 Raghuram Rajan foresaw the financial crisis. Now he has a new prediction: the end of export-led growth, at least for the foreseeable future. India’s central bank governor upset some people in New Delhi when he first suggested that Prime Minister Narendra Modi was wrong if he thought he could lead his country out of poverty by applying China's growth model. China sold into a global economic boom that was fueled by the accumulation of debt. The world economy now is weak, mostly because all that debt now must be paid. Rajan supported Modi’s desire to expand that country’s manufacturing base, but said the government would have to generate demand for the increased production at home. Rajan made those remarks in December. Eight months on, it’s starting to look like he was onto something. Global trade contracted in the first half of 2015, according to new figures by the Netherlands Bureau for Economic Policy Analysis. The recent turmoil in global financial markets inspires little confidence that economic conditions will improve any time soon. There are whispers that China’s gross domestic product is expanding at an annual rate closer to 6 per cent, not the official annual growth rate of around 7 per cent. Europe and Japan continue to struggle. Commodity prices have collapsed. In the United States, there is talk the Federal Reserve will delay raising interest rates. There is a great deal of denial about exports. After Bank of Canada Governor Stephen Poloz was appointed in 2013, he talked about waiting for “Mother Nature” to do her work. It was his way of saying it was only a matter of time before entrepreneurial energy, survival instinct and greed combined to drive business investment and exports. He still is waiting, as Canadian exports have failed to launch. Poloz has cut interest rates twice this year, dropping Canada’s policy rate within a quarter point of its effective lower bound of 0.25 per cent. He’s done little to hide the fact that one of the main reasons for doing so is to weaken the dollar in order to make exporters more competitive. Dozens of other central banks have done the same thing. Few, if any, have had any more success than Poloz in generating a rebound. That’s probably because trade no longer works like it used to. Swarnali Ahmed, Maximiliano Appendino and Michele Ruta of the World Bank published research this month that suggests exchange rates are losing their power over exports. Few goods are now produced in one place. Therefore weaker exchange rates can hurt as much as help by raising input costs. “The larger an economy’s import content of exports, the smaller the impact on export volumes of a depreciation,” the Ahmed and the other World Bank economists concluded. This is a big deal. Flexible exchange rates are at the core of the global financial system. They are supposed to allow weak economies to adjust, keeping the global economy in balance. If exports are less responsive to the currency’s value, the Bank of Canada and others are running ultra-loose monetary policy -- inflating asset-price bubbles and encouraging households to take on debt -- for essentially nothing. They might even be doing more harm than good. The G20 last year said its members would implement policies that would boost global economic growth by more than 2 per cent over five years. If the promise was meant to inspire confidence, it probably failed. There has been too little action to support the rhetoric. Sticking with Canada, Kevin Lynch, a former deputy minister of finance, wrote this week that politicians are leaning too heavily on the central bank. “It is time to engage fiscal policy to provide demand support to the economy in a way that also raises our competitiveness, to complement this with structural policies to improve both productivity and labour force growth, and to rely less on unsustainable low interest rates,” he wrote in a commentary published by the Globe and Mail. Lynch could have been talking about Germany and the handful of other big economies that have the fiscal space to help their central banks increase demand. Those countries that are too indebted to deploy fiscal policy must look at cheaper ways to boost growth, such as getting more women to join the workforce or loosening hiring restrictions. We entered a new era. For the next while, exports will follow growth, and not the other way around.